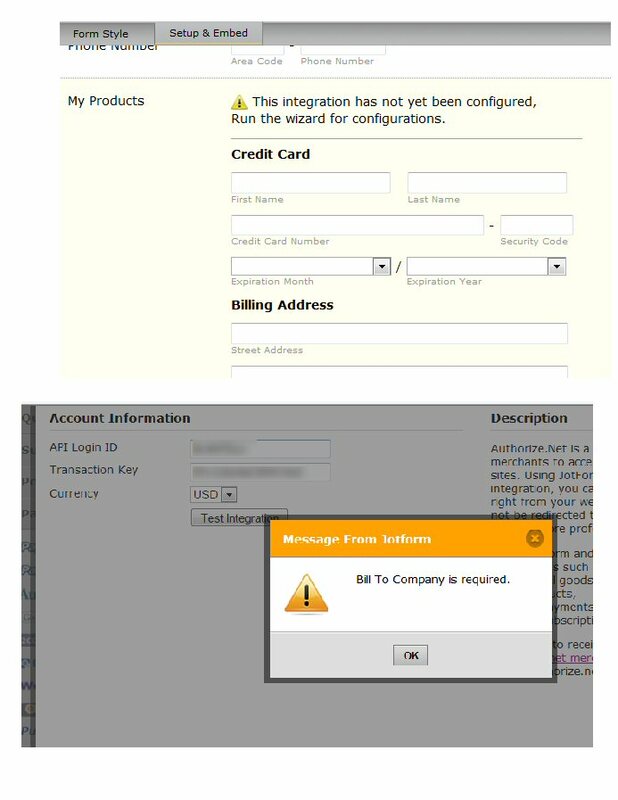 I put my API Login Id and Transaction Key in and when I hit 'Test Integration' it says 'Bill To Company is required' when I go back to the form Credit Card and Billing address is on the form but at 'Products' it says The integration has not yet been configured, run the wizard for configurations - I don't see a wizard :( I need to set it up for Subscription Payments. Could you please provide us with the form ID in question? Also please do not remove your API Login Id and Transaction Key from that form, so we will be able to test it.